For the Marshalls, laughter is the best medicine. Especially when combined with alcohol, pain pills, excessive cursing, sexual escapades, actual medicine, and more alcohol. Meet Dan Marshall. 25, good job, great girlfriend, and living the dream life in sunny Los Angeles without a care in the world. Until his mother calls. And he ignores it, as you usually do when Mom calls. Then she calls again. And again. Dan thought things were going great at home. But it turns out his mom's cancer, which she had battled throughout his childhood with tenacity and a mouth foul enough to make a sailor blush, is back. And to add insult to injury, his loving father has been diagnosed with ALS. Sayonara L.A., Dan is headed home to Salt Lake City, Utah. Never has there been a more reluctant family reunion: His older sister is resentful, having stayed closer to home to bear the brunt of their mother's illness. His younger brother comes to lend a hand, giving up a journalism career and evenings cruising Chicago gay bars. His next younger sister, a sullen teenager, is a rebel with a cause. And his baby sister - through it all - can only think about her beloved dance troop. Dan returns to shouting matches at the dinner table, old flames knocking at the door, and a speech device programmed to help his father communicate that is as crude as the rest of them. But they put their petty differences aside and form Team Terminal, battling their parents' illnesses as best they can, when not otherwise distracted by the chaos that follows them wherever they go. Not even the family cats escape unscathed. As Dan steps into his role as caregiver, wheelchair wrangler, and sibling referee, he watches pieces of his previous life slip away, and comes to realize that the further you stretch the ties that bind, the tighter they hold you together. This book took a really hard, horrible subject and made me laugh out loud. 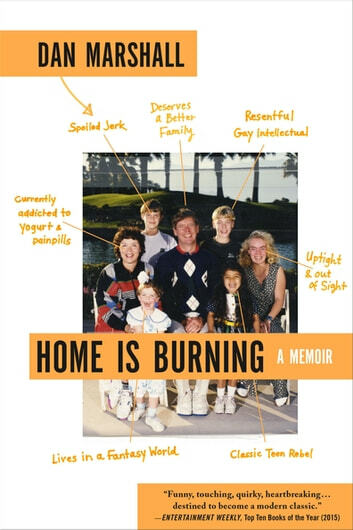 I recently lost my own father, and loved how Dan made the family human and flawed, like the rest of us. This book is an amazing read! 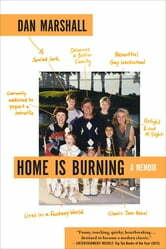 The author is hilarious, he and his family have such a humorous view about their parents' condition. It's a perfect balance of heartbreaking and hilarious! This book was well-written. The author's self-deprecating/gee I'm great dichotomy got a little wearing after a while but otherwise the story rang true, terribly sad and a little bit funny.